After the first predetermined circle are the remaining ones completely random? For instance, is there a way a player can know where the final circle will be once they have seen the boundaries of the first two? Lastly, are the circles pre set or could it be decided in game if someone is camping in a certain position? By that I mean if someone is camping towards the end and the circle is about to be set where they are, could the game move the circle to force them to move? Highly unlikely I know. But just interested for people's thoughts on it. Every game I've played, the circle has taken me somewhere different. Hopefully the end circle isn't predictable - that would be a mistake on the DEV's part. Hopefully its just a random circle every time then! Won't be long until its worked out before they've left the plane and they know where to camp. 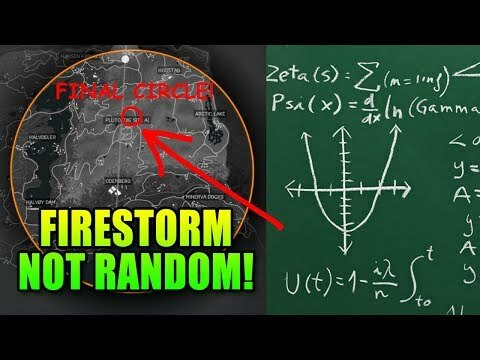 Not only are the circles not random, but as you can see from Charlie's video: neither are the loot tables. I was watching him during his stream and it was literally as he said in the video: two identical games in a row. So folks will be able to work out where the circle is going and, with enough time, figure out where the top tier loot will be.